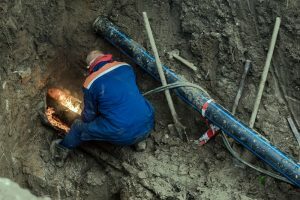 The main sewer line for your home is buried in your yard, which makes it difficult to sometimes determine whether or not there is a break in the line. If you are unsure, we can send out one of our team members for sewer repair services in Redmond to get to the heart of the matter. We feature trained technicians and we will show up with all of the necessary equipment to inspect your lines and get started on a fix, if necessary. Are Your Drains Clogging Constantly? If you are having this problem, the chances are good you need sewer repair services. Your toilet, showers, tubs, and sink drains can get plugged up from time to time and it may be a quick fix. However, if it keeps coming back and more than one drain is clogging in the house, you need to think about having your sewer lines inspected. Do You Notice Foul Smells? Even if you cannot see a sewer issue, the chances are good you will be able to smell it. Sewer gases can be strong and a telltale indicator that there is a plumbing problem in the works. Foul odors can point at a clog in the line or a back up that is about to happen. Should you experience any of the above or you are already seeing debris or wastewater coming into your home, you can call us at Schleg Valley Construction and we will send someone out as soon as possible. We can go over all your sewer solution options and make sure that you get a proper fix in a timely fashion. Always leave sewer repair services in Redmond to the professionals. Call (425) 312-6750 to talk to us at Schleg Valley Construction about your sewer repair needs.